So far I have scored three green completion ticks. Last weekend I bought three bookcases for the bungalow. Two of them were already assembled and have been set up. I have been able to put the contents of three of the old small bookcases into the two new ones and also to shelve the contents of two cardboard boxes of books that were sitting on the floor. 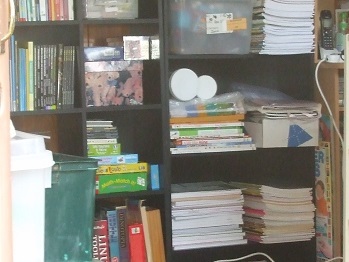 I have also continued with the work of cataloguing the Gifted Resources library. So both of these tasks on the To Do list, although they do not yet have a completion tick beside them, at least have some progress to show on their progress level meters. All the other tasks are still waiting to be done! issues a Creating Challenge. This month I have set myself the creating challenge ‘The Month of Maybe’ in which I will endeavour to do as many as possible of the things on my To Do List. 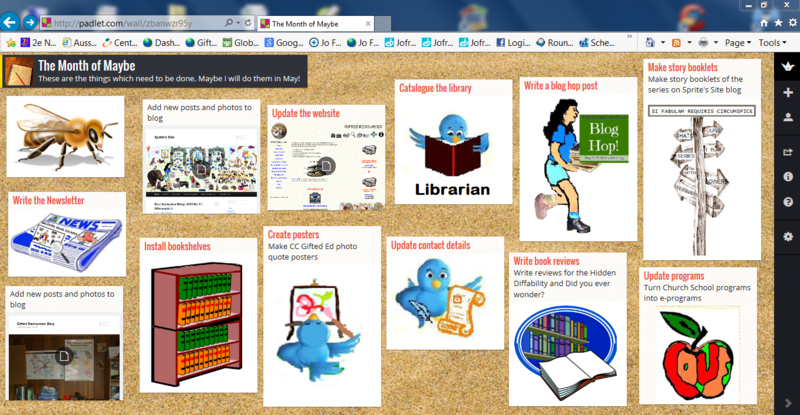 I have made myself a Padlet sticky notes page at http://padlet.com/wall/zbanwzr95y for a graphic reminder. The Psych-Owl-Ogist listened intently to Retweet’s concerns about the earworm Tweetil had contracted after the visit of Trending and her tweetlets, Promoted Jnr and Popular. Often you can find great programs being held during the holidays. Humans can find information about holiday programs suitable for gifted children in the Gifted Resources Extension and Holiday Programs Newsletter. Retweet was delighted to find that the Un-Olympics Bower was offering many interesting courses during their holiday program and that many bright eyed tweetlets of all ages had enrolled. Bright and early on the First of January 2013 I received a number of the regular email newsletters and was so impressed at how well organised all the groups, organizations and individuals were. 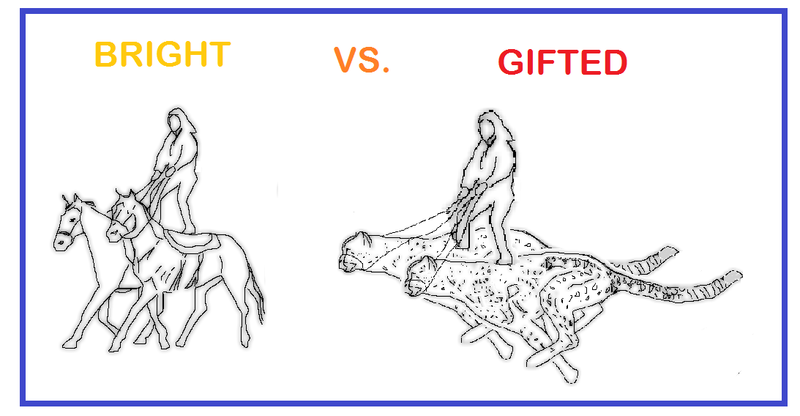 I should be sending out the Gifted Resources email newsletter. I am working on it! I have six pages worth of links and information in my For the Next News file. 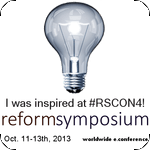 And I am busy updating the In Tray on the Gifted Resources website and contacting colleagues to see whether they have 2013 plans they would like to include in the newsletter. So here is a collection of wheels created in SpiroMath to get things moving! Sprite was reading the Holiday Programs newsletter on Gifted Resources home page http://www.giftedresources.org and sighing. And I was looking at the GIFTED 2010 11th Asia Pacific Conference on Giftedness Sydney 29 July – 1 August 2010 http://www.gifted2010.com.au/ and sighing. 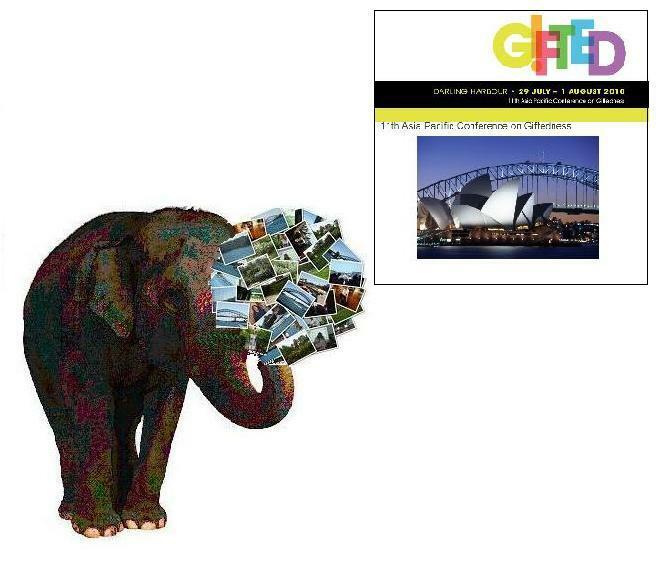 Eidetic the Memory Elephant began to spin the Shape Collage ball of Sydney photos. Sprite was reading the Gifted Resources Holiday Programs newsletter. “Why? Can’t you just make a background from a photo or a painting and then I can go there?” she asked. “I have to write the newsletters and work on the website and go to the office or to the city to meet people and I manage the library and help with some gifted programs. And I need to polish up the Feetspeak: 2E shoes presentation and plan my travel to Albury and Sydney.